As with any reference work, The Encyclopedia of the Gothic can be evaluated along two general lines: the quality of its contents and the comprehensiveness of its coverage. On the first count, the essays are well written and interesting, and many of them provide moments of real and pleasurable insight. The essay on Charles Dickens, for example (written by Michael Hollington, one of the leading scholars in the field), starts by asserting that Dickens “effected decisive and lasting change in the history of Gothic fiction” by grounding Gothic terror not in fantastic settings but in the prosaic reality of his contemporary urban society. Such moments are neat, and they recur throughout the imposing span of the encyclopedia’s 900-plus pages—a testament, obviously, to the breadth and depth of knowledge about its central subject among the more than 130 contributing writers, and also among the three editors, each of whom is a significant figure in the field of gothic studies. But at the same time, it’s this very quality of general excellence of the contents and expertise/authority among the writers and editors that makes it so odd when under closer scrutiny a number of significant gaps show up in The Encyclopedia’s overall coverage. How is it, for example, that in a reference work on the gothic there are separate and lengthy entries on Stephen King, Clive Barker, James Herbert, Anne Rice, Ramsey Campbell, and Poppy Z. Brite, but no entry on Peter Straub? Similarly—and astonishingly—there is not a single mention of Thomas Ligotti, a legend of a living horror writer whose status as both a cult figure and an author of real significance is evident from, among other things, the fact that he has already merited an entire volume of criticism and appreciation, 2003’s The Thomas Ligotti Reader. The more one scans and digs, the more these kinds of omissions come to light. William Burroughs is given only a single mention and then only in relation to David Cronenberg’s film adaptation of Naked Lunch. Caitlin Kiernan, one of the most significant living authors of Gothic fiction in the specific mode of weird horror fiction, receives only two fleeting references. The gaps extend also to coverage of the critical and scholarly realm. Everett Bleiler, the renowned 20th century scholar and editor who made seminal contributions to the study of Gothic and horror fiction in particular and fantastic literature in general, is nowhere to be seen. S. T. Joshi, the scholar who is most responsible for having launched the still-growing field of Lovecraft scholarship, and whose contributions to other areas of horror and Gothic scholarship are significant, is mentioned only in a source note. So why is it absent here? It’s that claim of “appropriately definitive” that is at issue here. Are we really justified in labeling the above-described exclusions “gaps” and “omissions”? Or does The Encyclopedia of the Gothic truly represent an “appropriately definitive” survey and statement of what “Gothic” encompasses at the moment, so that its value judgments about who and what to include and exclude are normative—or at least representative of where the field actually stands? 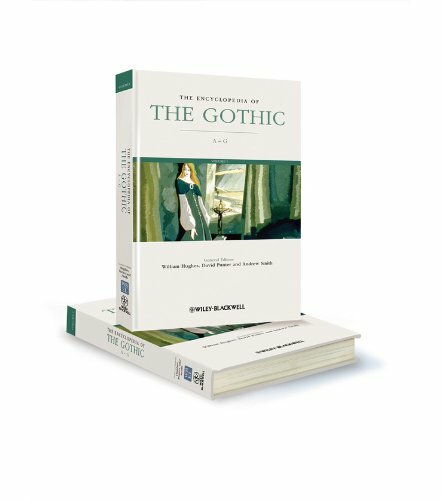 According to the publisher’s description, The Encyclopedia’s scope and slant encompass “all aspects of the Gothic as it is currently taught and researched, as well as challenging insights into the development of the genre and its impact on contemporary culture” [emphasis added]. So maybe in criticizing its exclusions we’re asking The Encyclopedia of the Gothic to be something that it manifestly is not and does not try to be. Maybe it really does represent the state of present academic scholarship in its area. Maybe these apparent lacunae, far from being incorrect, are instructive. This might be a satisfying conclusion if it weren’t for the fact that it stands in tension with that other line from the back cover copy, already quoted above, that announces The Encyclopedia as “the definitive reference guide to all aspects of this strange and wondrous genre.” The statement, it seems, is too broad for the book’s actual content, which seeks to cover not all aspects of the genre itself but all aspects of current academic scholarship about it. This is a worthy goal in itself, but it means that anybody approaching this encyclopedia in expectation of finding a comprehensive view of the Gothic as such—and the very boundaries of that definition are of course part of what the work addresses—will end up either disappointed or misled. As a reference work that’s firmly rooted in and actively devoted to expressing the current state of academic scholarship about its area, The Encyclopedia of the Gothic shares all the virtues and shortcomings of that field, including any quirks of selective focus. It’s quite valuable for what it is—and illuminating for what it is not.